Where Do We Get Our Orthodontic Supplies? American Orthodontics has been in business since 1968. Since then, it has become a leader (not only in business) but in helping orthodontists and their patients in more than 100 countries worldwide. However, despite selling their products across the globe, American Orthodontics has always kept a local focus in their operations. In 2002 and 2009, American Orthodontics was named the Wisconsin Manufacturer of the Year. On an even more local level, they were given the title of the Sheboygan County Economic Driver of the Year in 2012. In Sheboygan, Wisconsin, American Orthodontics is regarded as a company that cares about its employees. With a low employee turnover rate, many of their employees stay with them throughout the course of their careers. 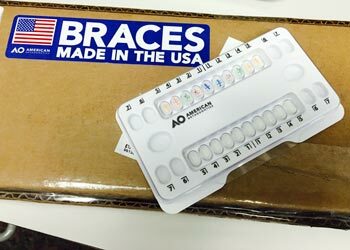 We are proud to support American Orthodontics by purchasing their orthodontic appliances. It is through quality supplies that we can provide the highest level of care to all of our patients.